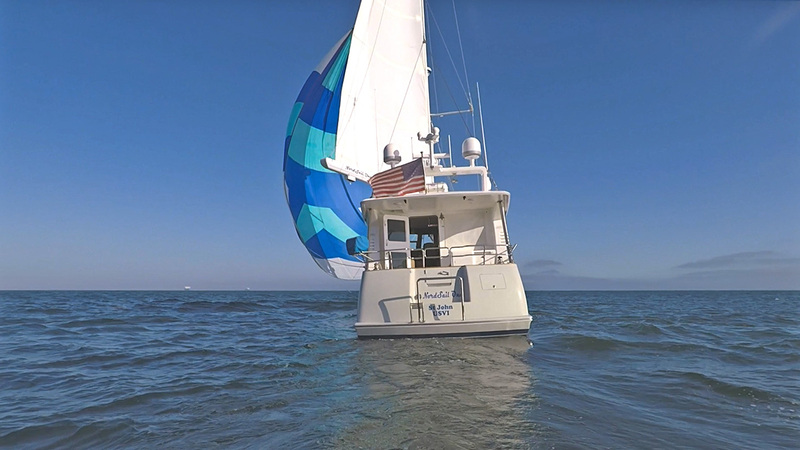 There is a [Talk through] video tour for this boat located lower on this page. 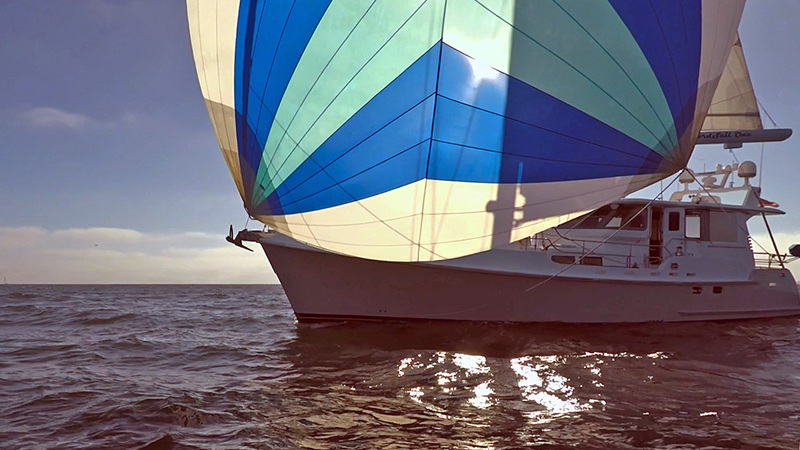 Few sail boats have the potential to cross oceans with equal ease under both sail and power. 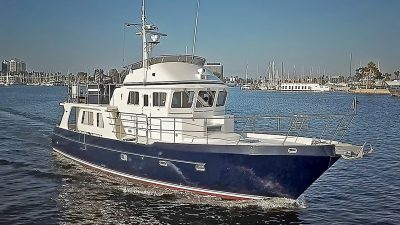 The Nordhavn 56 – NordSail One is a rare design that beautifully marries the potential to sail forever with a main engine power plant engineered by the passage making trawler leaders at PAE/Nordhavn. 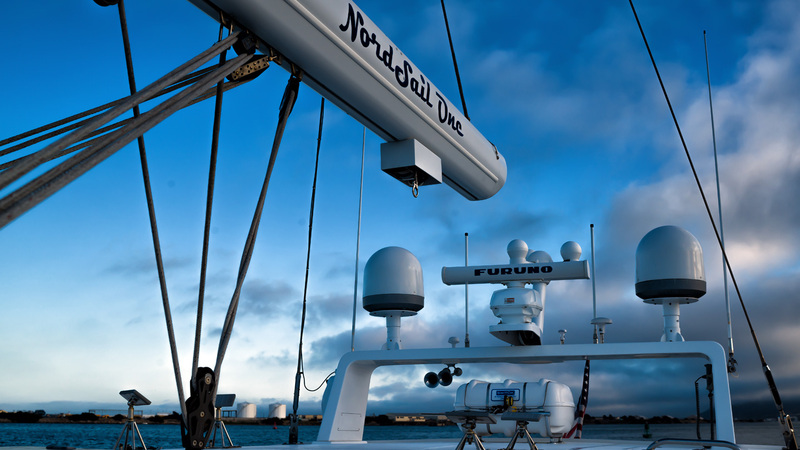 NordSail One is the first of the series and led the charge that resulted in a further seven hulls to follow. 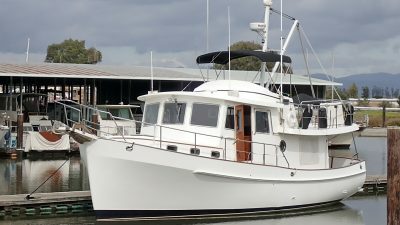 The cost to order a new motorsailer today would exceed two million dollars and require a long wait. 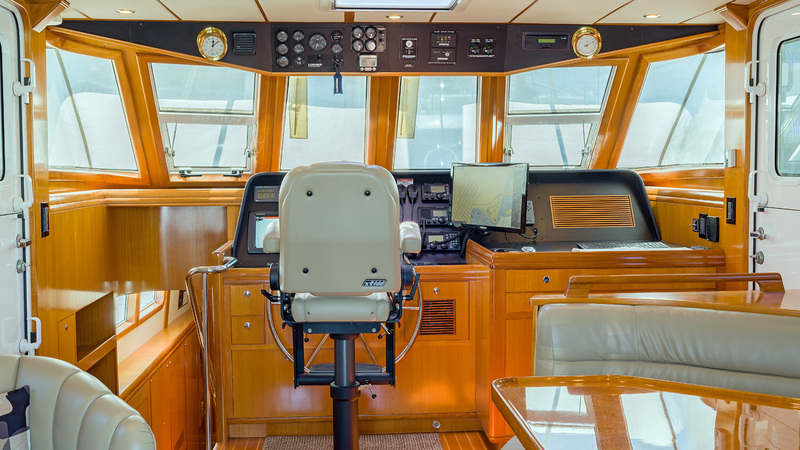 Approaching NordSail One, you will admire an elegant looking sailing yacht with a roomy forward deck and a trawler like pilothouse that combines the salon and inside helm station. 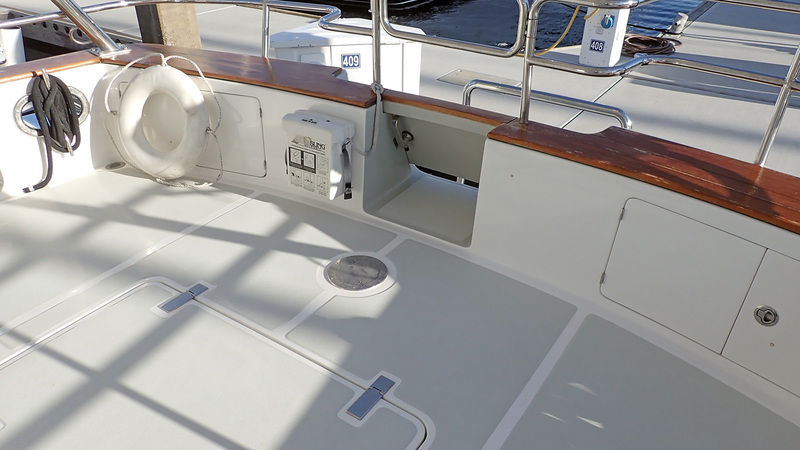 The transom has a molded-in swim platform and you ascend a few steps to arrive in the raised (and covered) cockpit which initiates the upper level entering the saloon and inside helm. 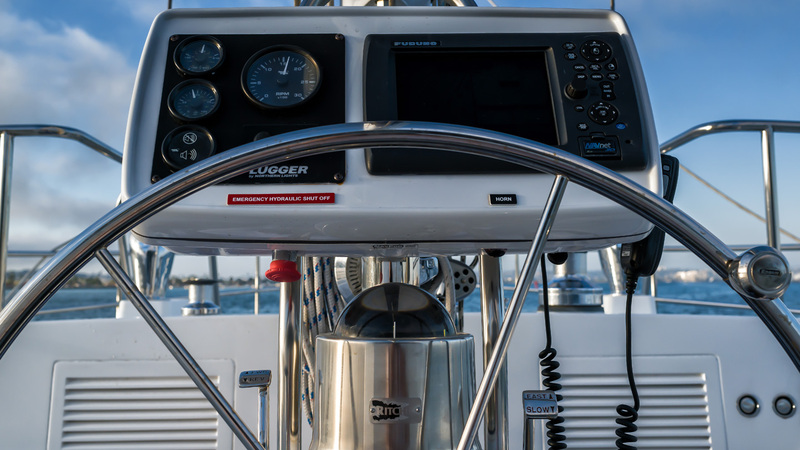 Her sailing performance is genuine, with a balanced sail plan and powered winches for ease of control. 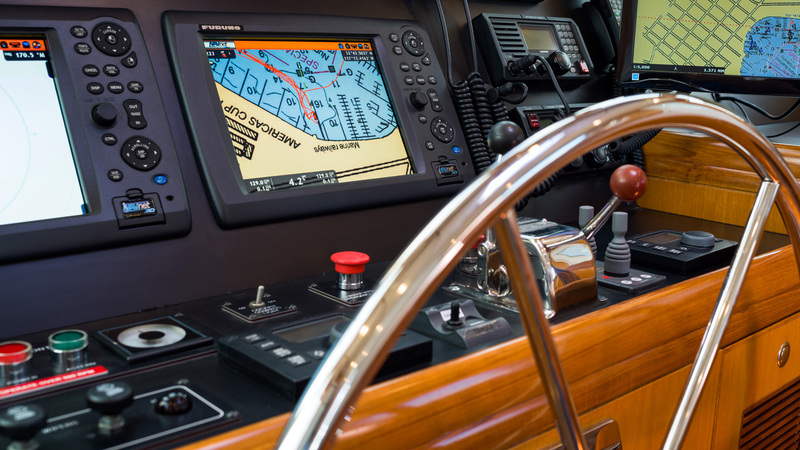 One brilliant innovation is her forward sailing helm station outside and ahead of the pilothouse. 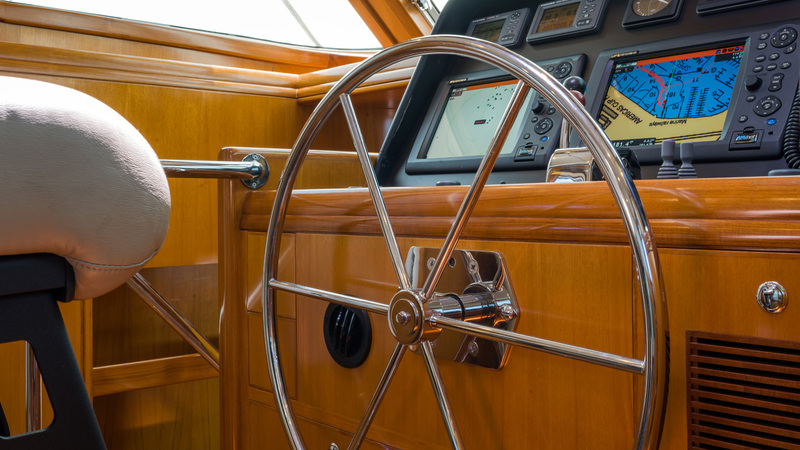 There is a large steering wheel on a binnacle with the essential navigation read outs mounted for quick reference. 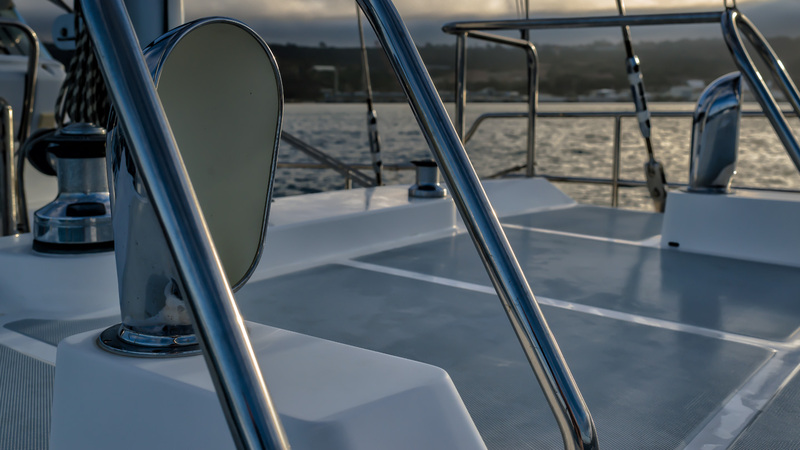 This outside well has a teak grate and comfortable seating, affording the skipper a great view of the sails and surroundings. 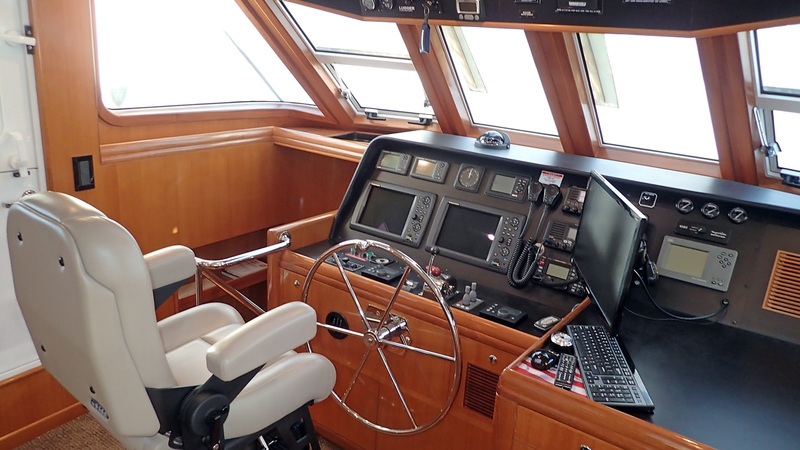 This provides a secure center cockpit with excellent visibility and surprisingly easy sail controls. 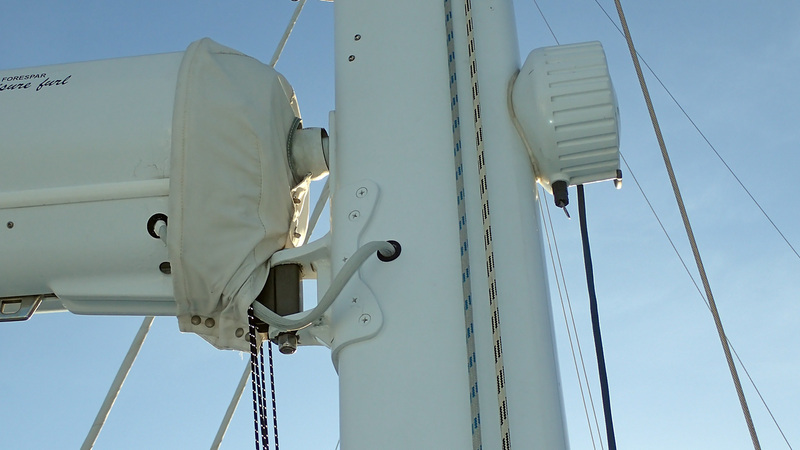 The headsail is adjusted via a hydraulic furler and hydraulic primary winches and has a high cut foot for a clear view along the horizon. 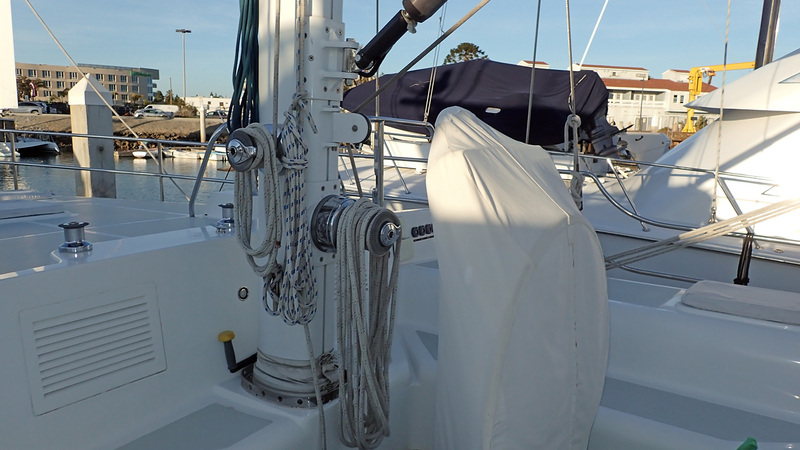 The full batten mainsail is stowed in a Leisurefurl boom that is supported by a Navtec hydraulic rod boom vang. 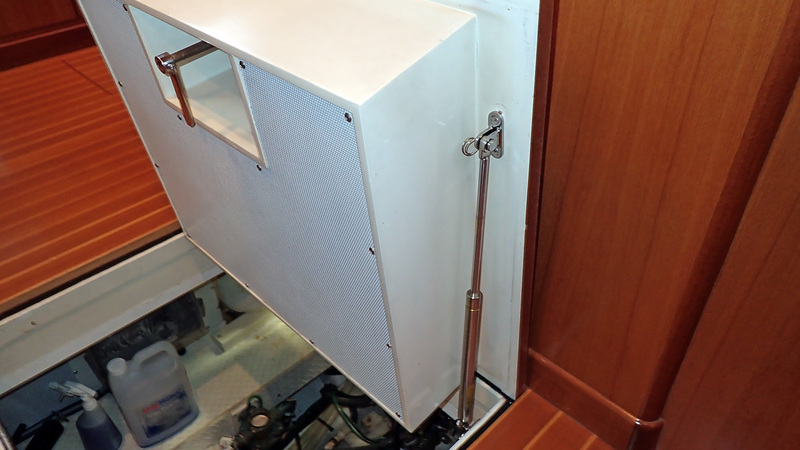 There is an assortment of Lewmar electric and hydraulic winches to simplify sail trim adjustments. 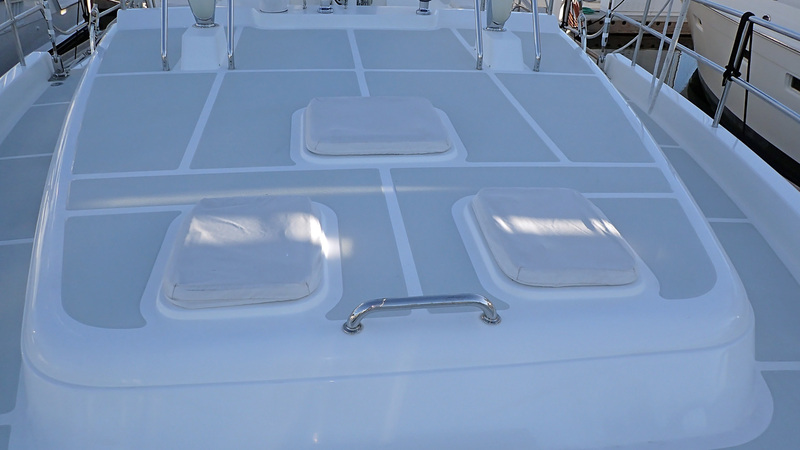 Sheet controls are on deck and on the mast. 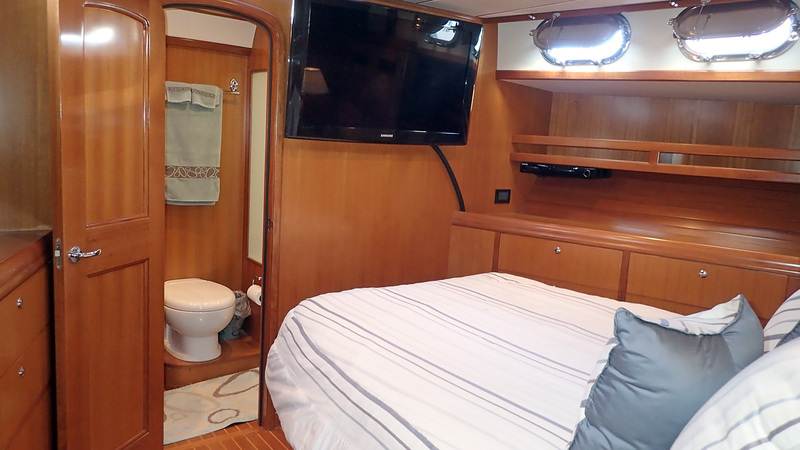 NordSail One also has the optional cruising spinnaker package. 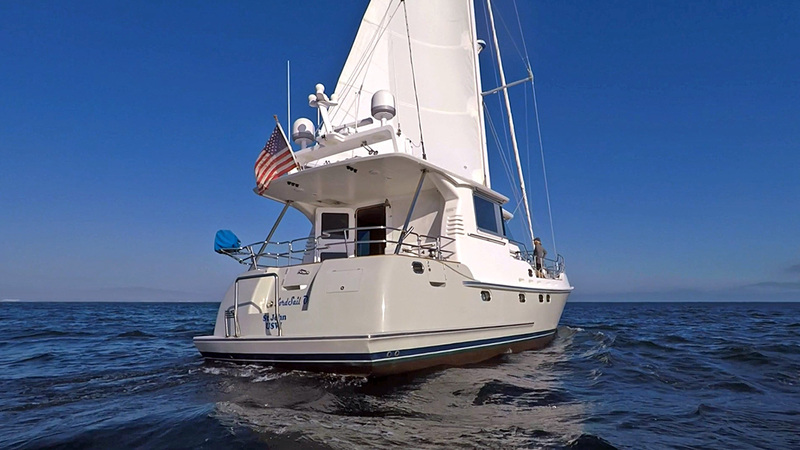 Any sailboat can travel with strong winds, one of the amazing attributes of NordSail One is how well she moves in a soft breeze. She is well balanced and stiff, but lively as well. 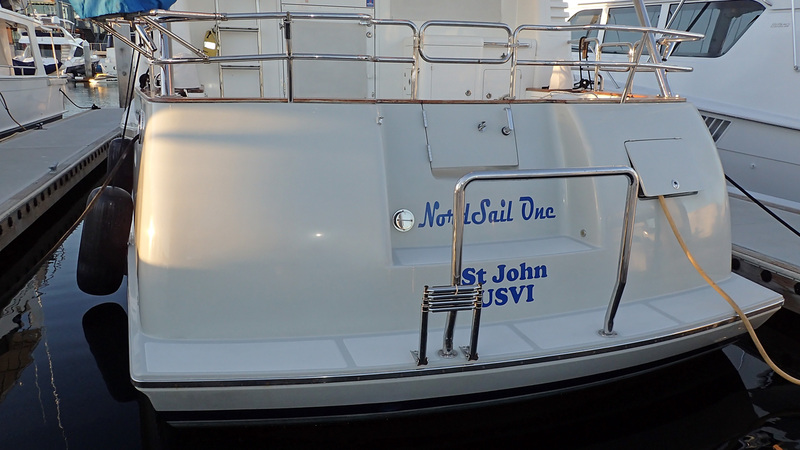 The deck is hemmed by solid stainless rails. 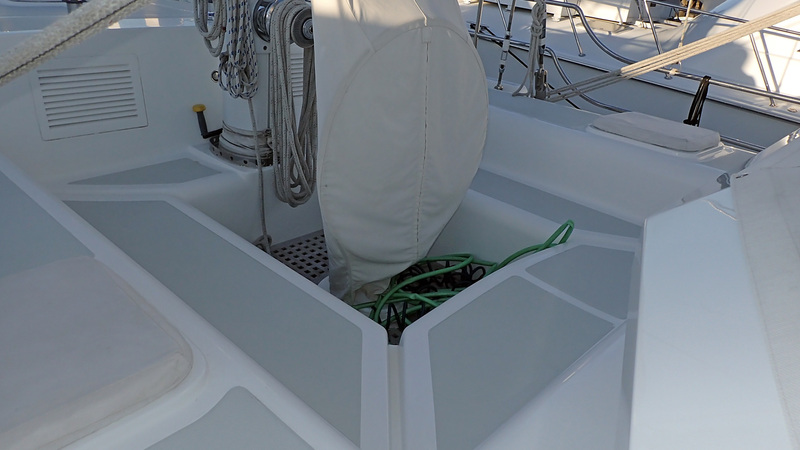 The foredeck has multiple opening hatches, the forward most containing a spacious sail locker that is just aft of the chain locker. 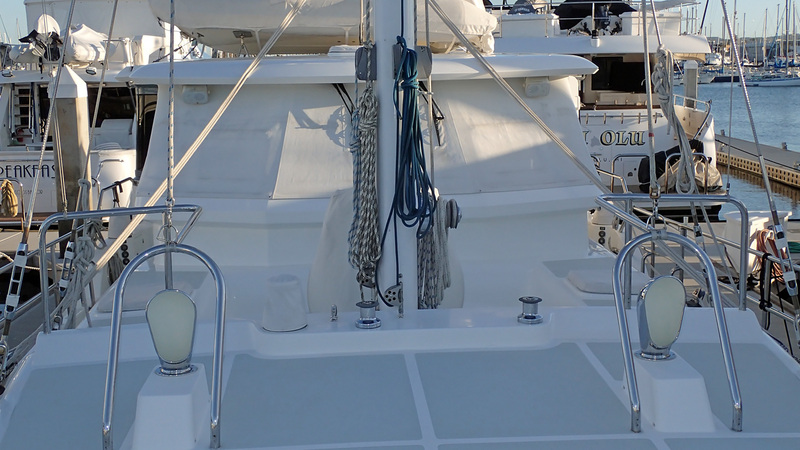 Dual anchor rollers feed a Maxwell windlass, an impressive ground tackle arrangement to set the hook when you arrive in paradise. 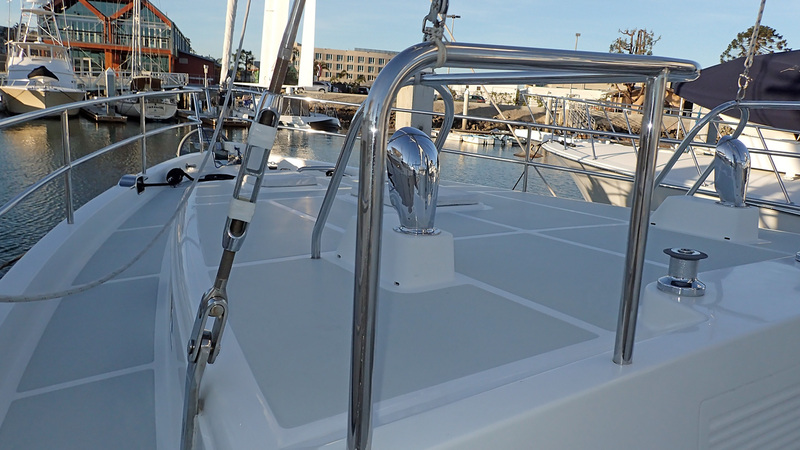 The Forespar double spreader mast is secured with stout standing rigging and massive stainless steel chain plates. 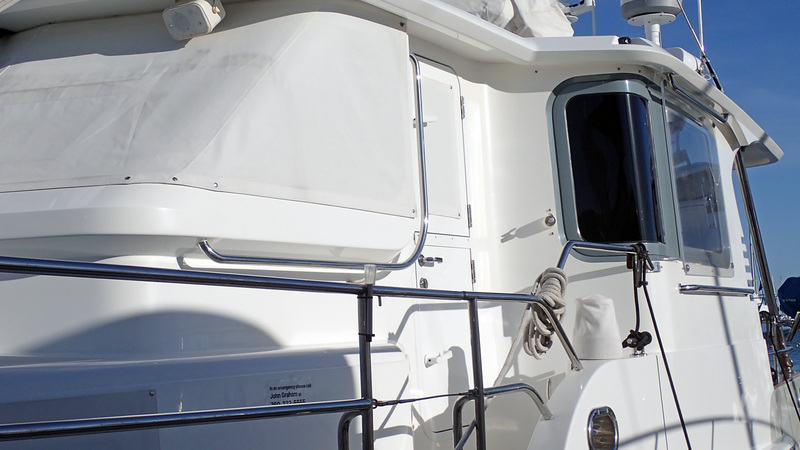 Atop the pilothouse is an arch for nav/com antennas and the ships tender mounted athwartships. 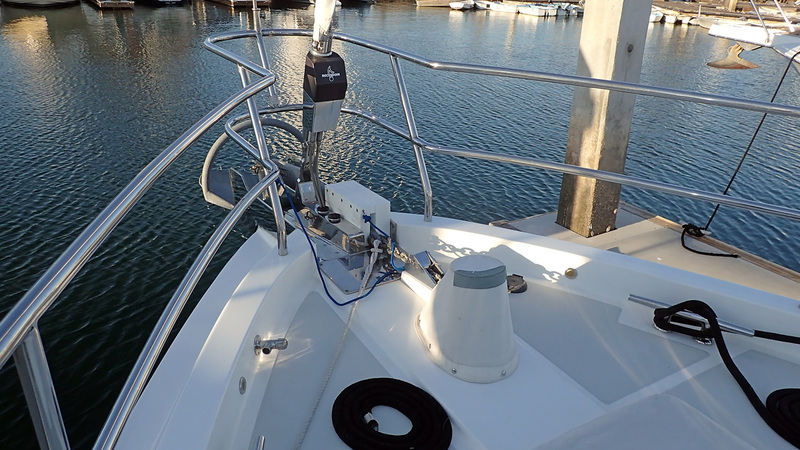 The boom has a built in electric winch box for launching the RIB. 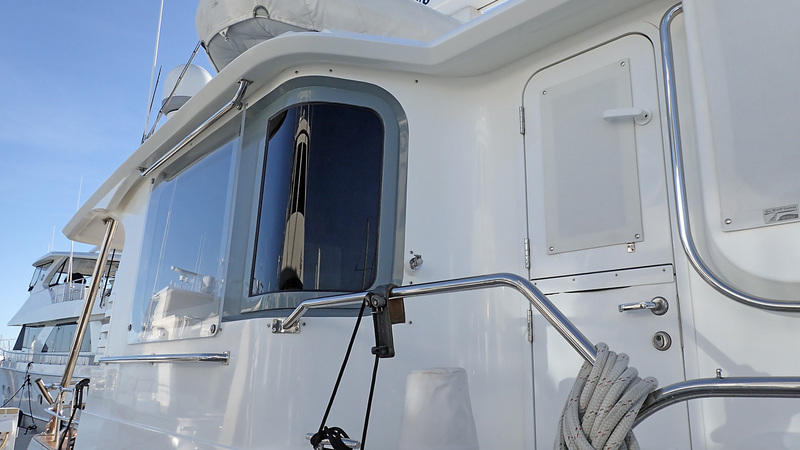 You access the pilothouse room via a ladder in the cockpit- aft, safe and secure. 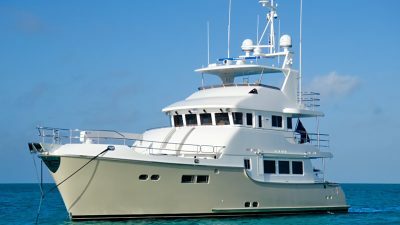 The aft deck has winches for the cruising spinnaker, propane locker and storage, a ladder to the pilothouse deck and a built-in console with sink, barbeque and refrigerator. This is an outstanding place to entertain and an ideal location to relax once you have arrived at your destination. 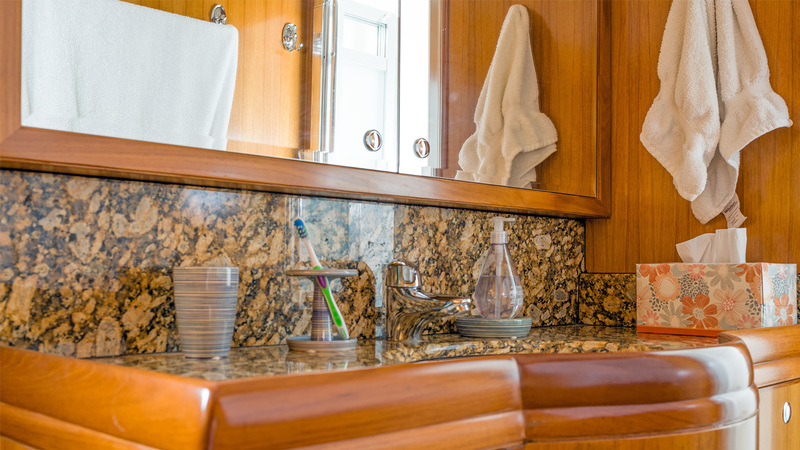 NordSail One’s interior is a gorgeous blend of varnished teak with granite counters. 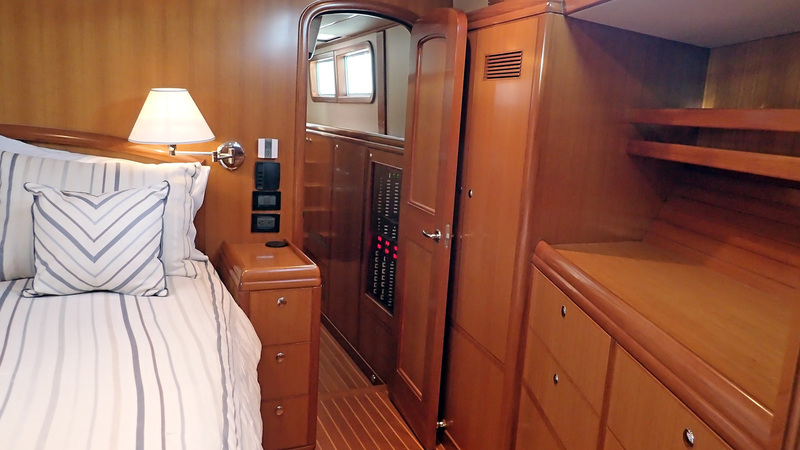 There are very few sailboats that provide such impressive visibility to the outside world from inside. 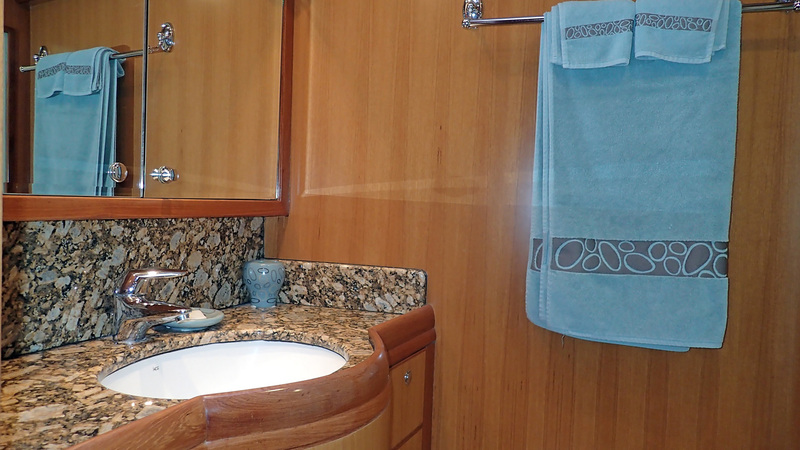 This is achieved by installing large windows in the upper level and additional windows along the galley and hallway plus deck hatches and hull portlights. 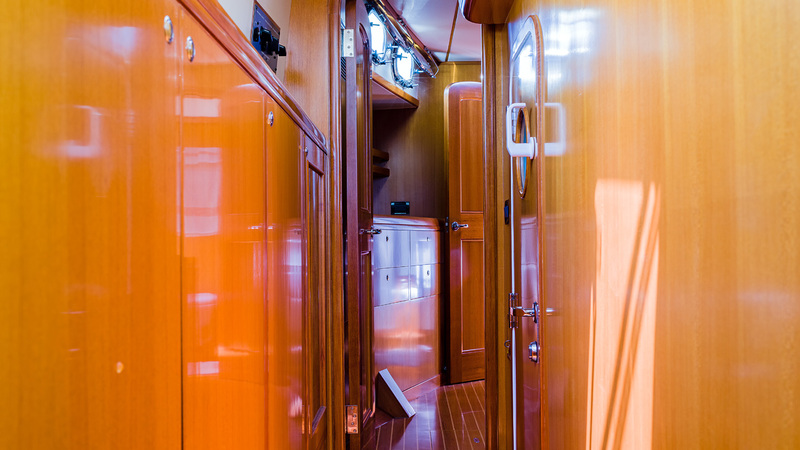 Entering the saloon through the Dutch door you will immediately appreciate the sparkling fit and finish that has made the construction yard, Ta Shing in Taiwan, world renowned for their quality. 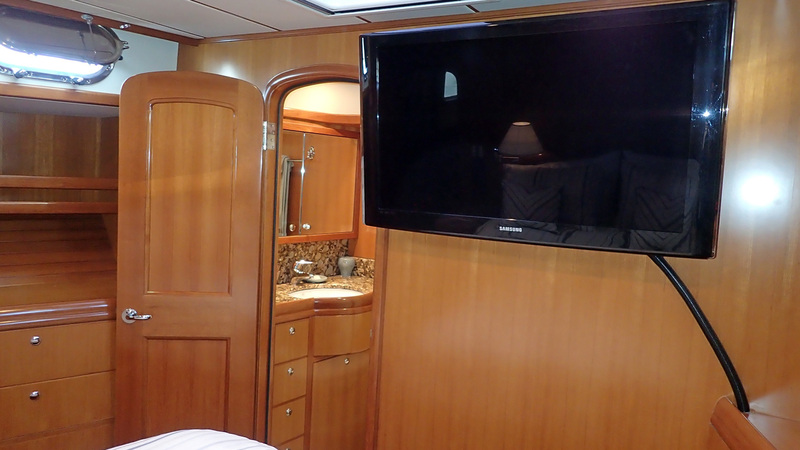 The saloon has two chairs to port fronting a flat screen television on a lift. 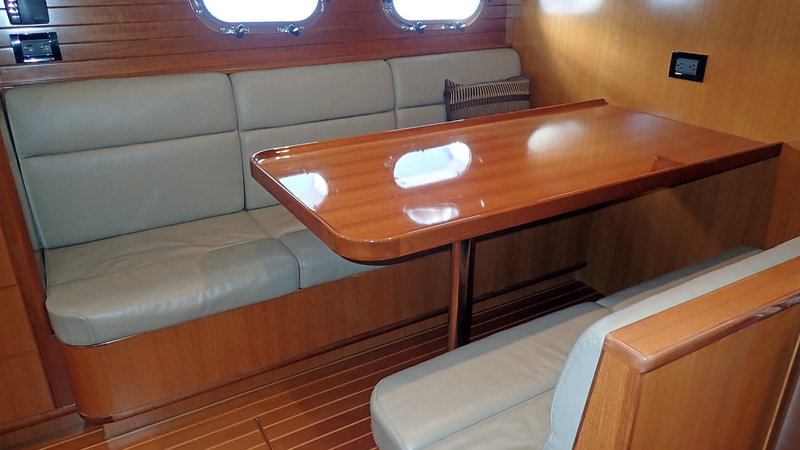 To starboard there is a U-shaped dinette with a fixed teak table. 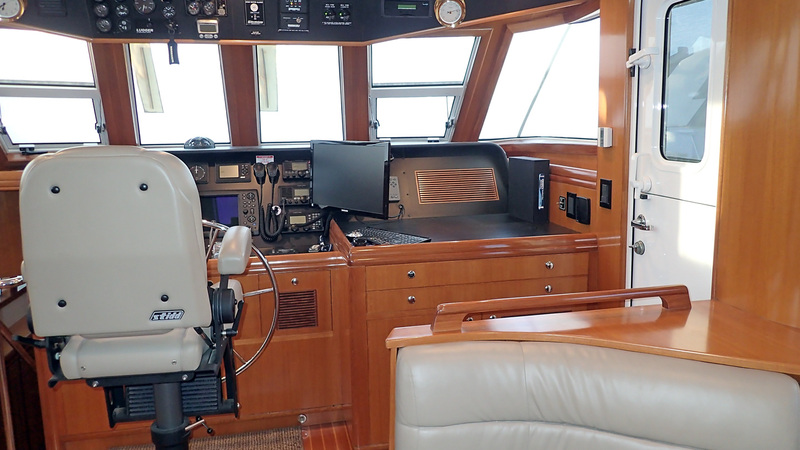 The forward area is all pilothouse centered by a Stidd helm chair with an impressive dash arrangement making it easy to monitor the ships systems and navigate. 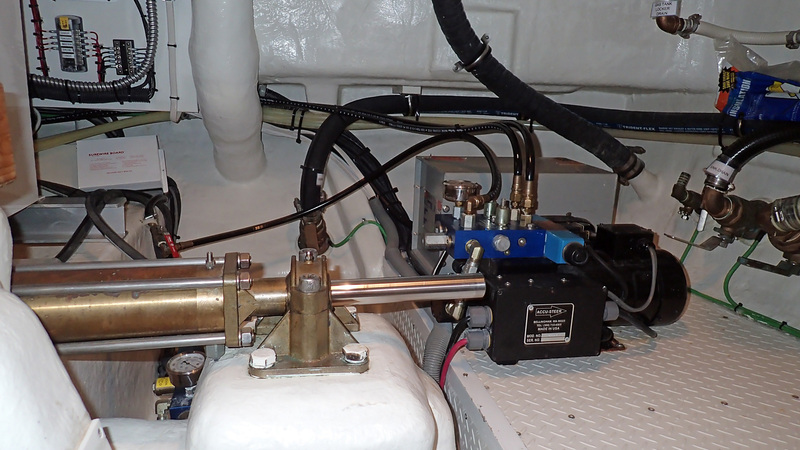 Controls and panels for the main engine, generator, thrusters and the Hundested propeller are neatly arranged and within easy reach. 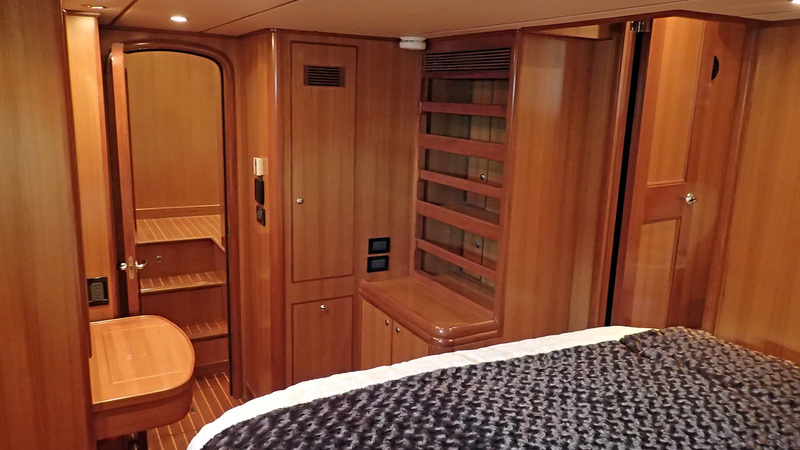 A short flight of stairs takes you down to the middle level with the port hallway passing along the engine room inboard on centerline and leading up to the guest stateroom. 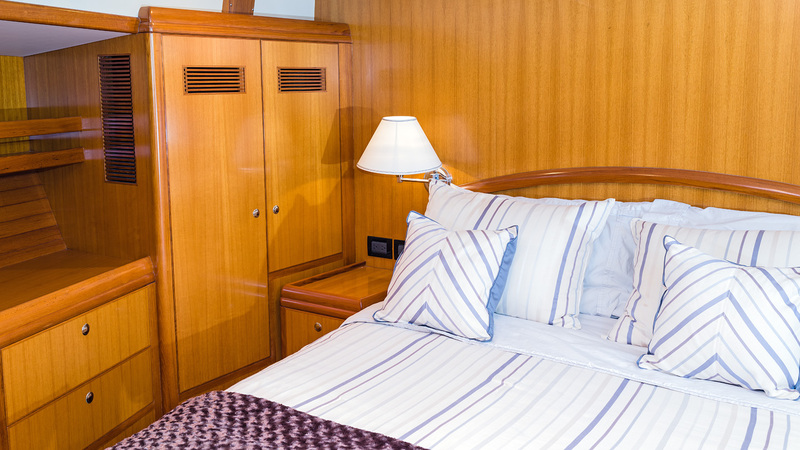 The VIP stateroom has a walk around island berth on centerline with lockers, drawers, a television, hatches and opening port lights. The head and separate shower stall are forward. 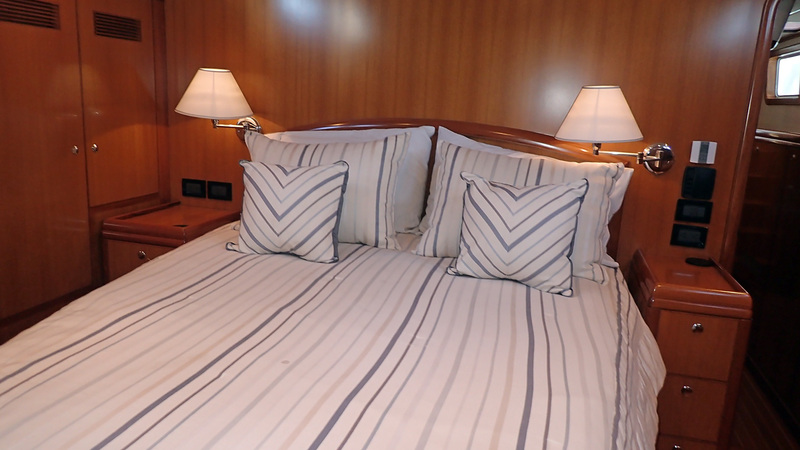 It would not be difficult to mistake this for the master stateroom, and may be the preferred place to sleep when you are at rest. 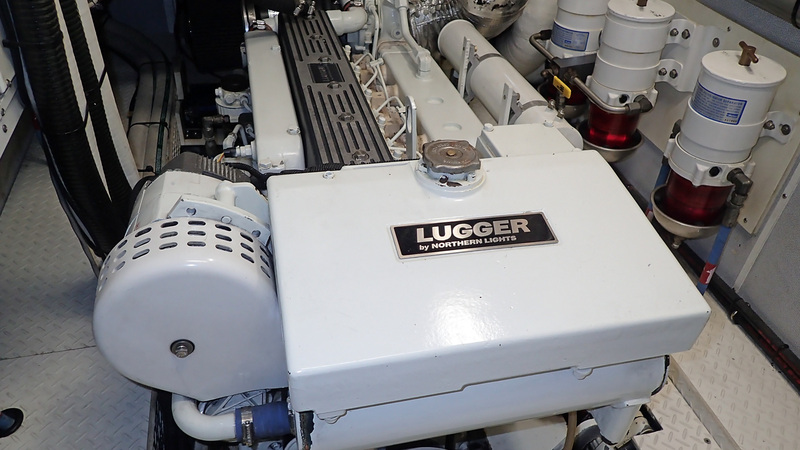 The engine room has a large opening door and you step down onto decking that surrounds the Lugger main engine. The keel stepped mast and fuel supply reservoir are forward. 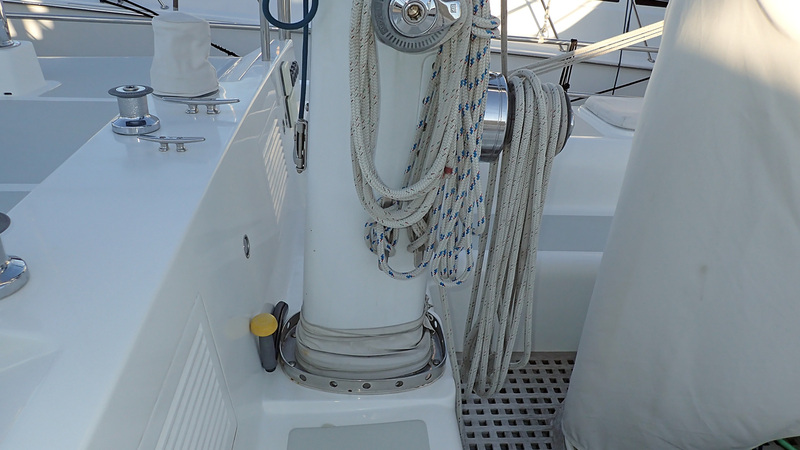 The fuel valves (supply and return) are outboard to starboard and the Racor fuel filters are easy to observe to port. 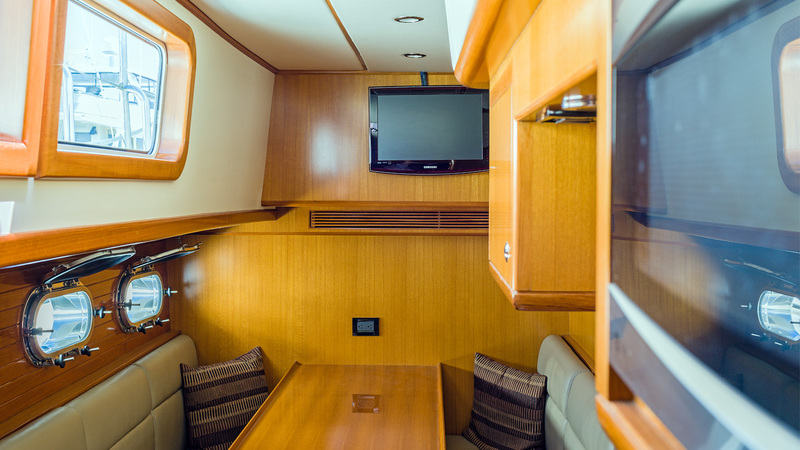 The sailing cockpit floor above is cleverly laid out to give you full standing headroom forward and to port in the engine room. 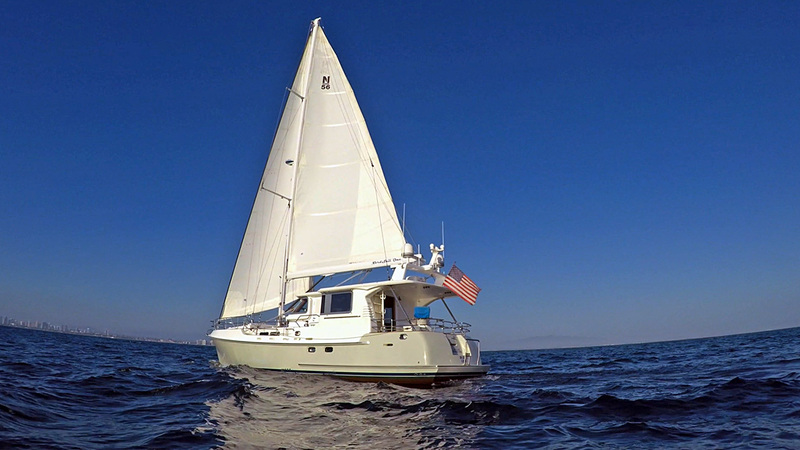 When was the last time you heard of a sailboat under 100’ in length that has standing headroom in the engine room? 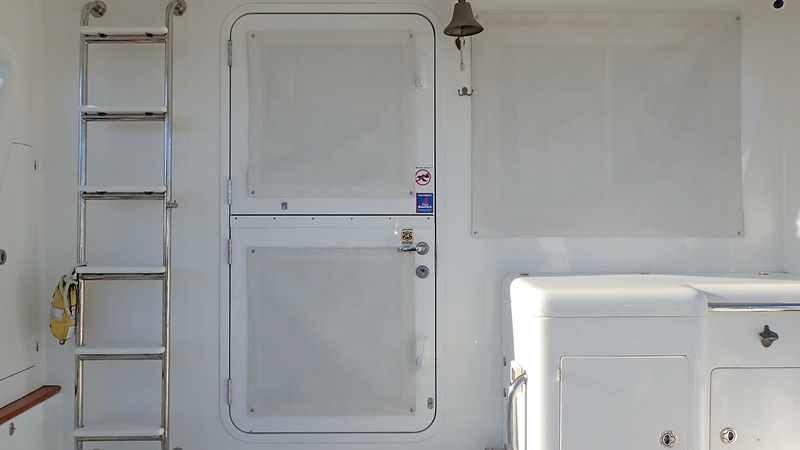 The ships electrical panel is across from the engine room door. 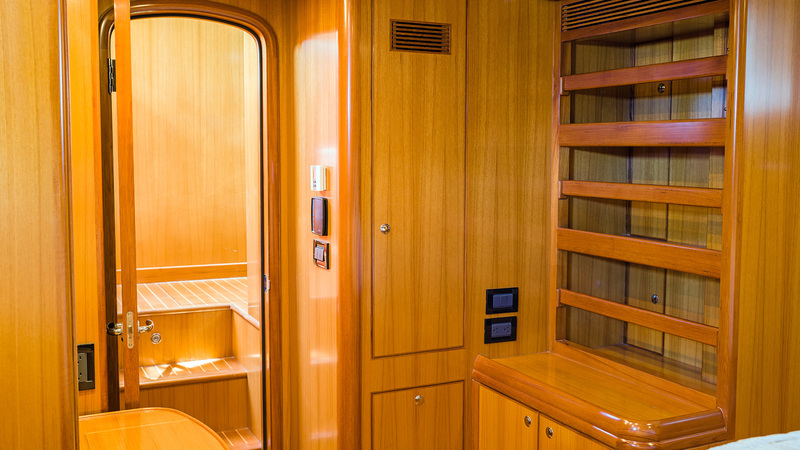 Outboard to port in the hallway (under the side deck) are a series of large cabinet doors that contain the separate Asko clothes washer and dryer and a water maker locker – an extremely efficient use of space. 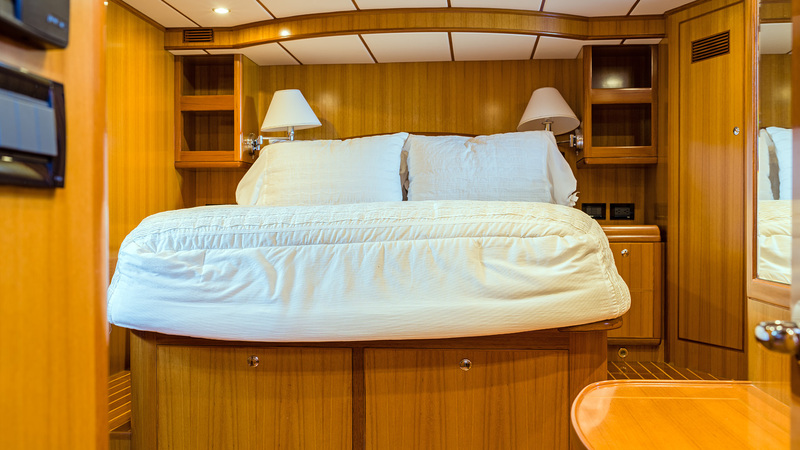 Working to starboard you arrive in the galley – laid out for convenient cooking when underway and heeled over in a blow. 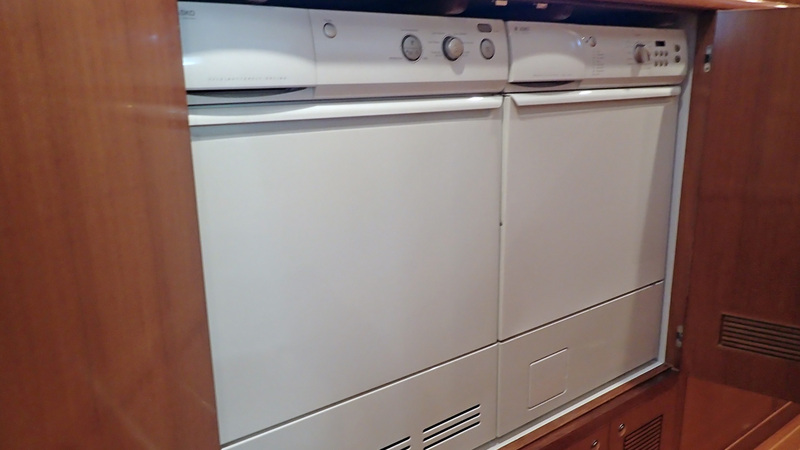 The large stainless sink is forward and the galley appliances include a trash compactor and a propane three burner stove and oven as well as a microwave. 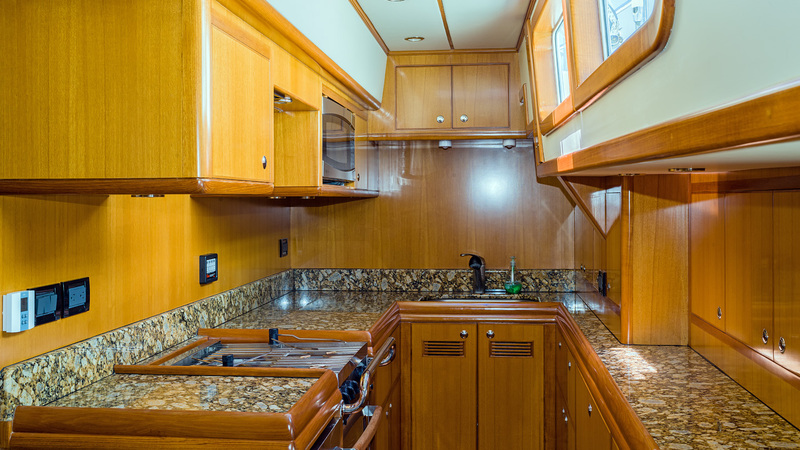 The granite counters have grab rails and there are plenty of lockers and drawers for galley ware and provisions. 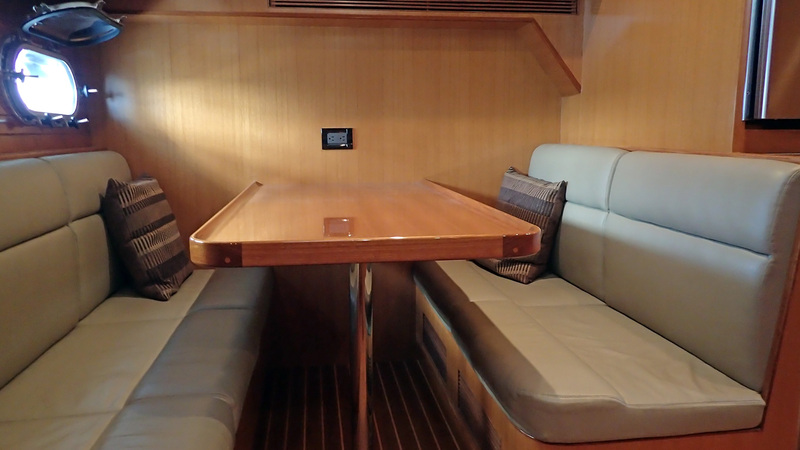 Meals can be served in the aft quadrant at the fixed teak table with settees on both sides. 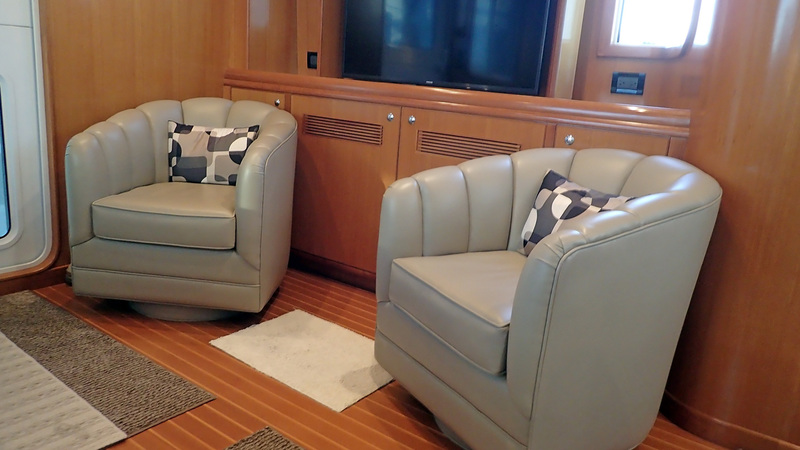 The outboard settee is long enough to serve as a extra berth in rough seas. 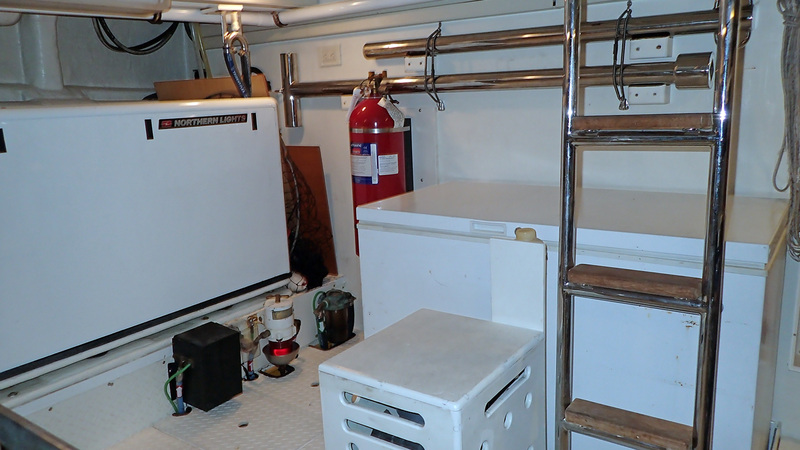 The Vitrifrigo refrigerator and freezer rest between the galley dinette and the aft facing stairway that goes to the lower level master stateroom. 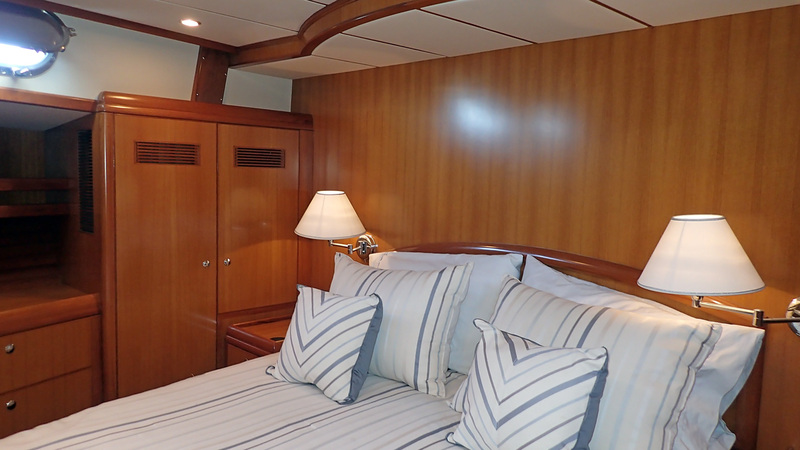 The master stateroom is on the lower level and takes over most of the space beneath the saloon. 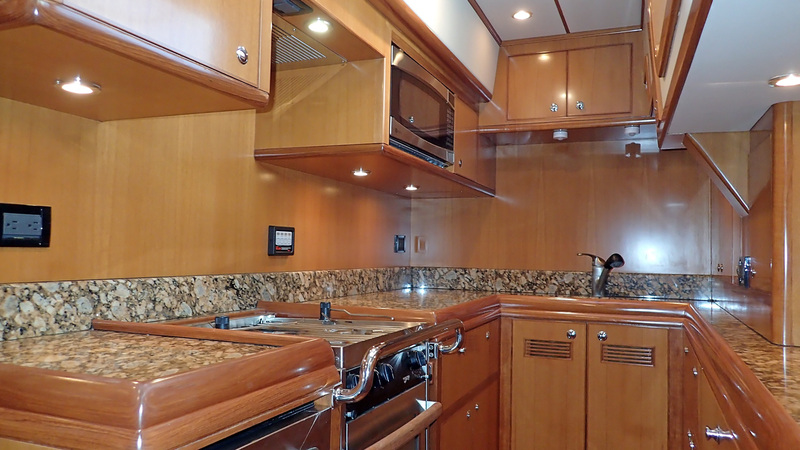 The walk around island berth is up high and easy to get in and out of and to make. 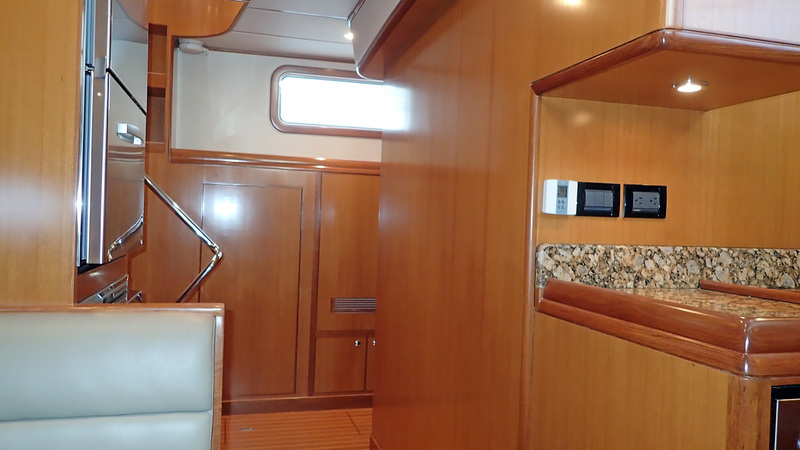 There is a flat screen television and numerous lockers and drawers. 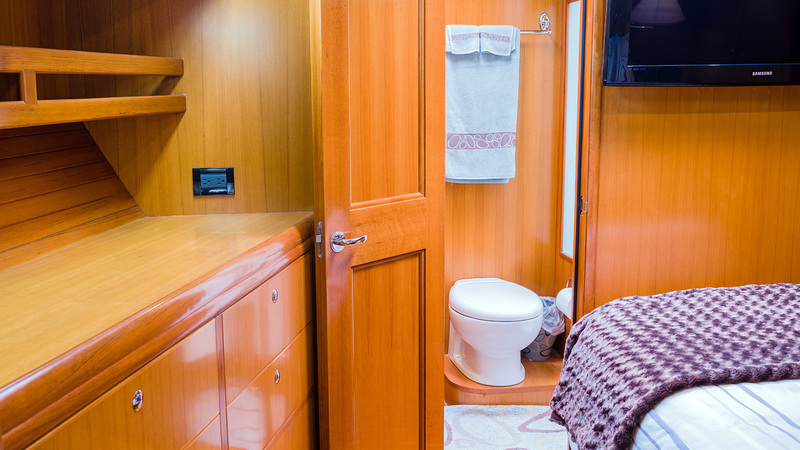 There is a desk/vanity with mirror and an adjoining head and stall shower outboard to starboard. 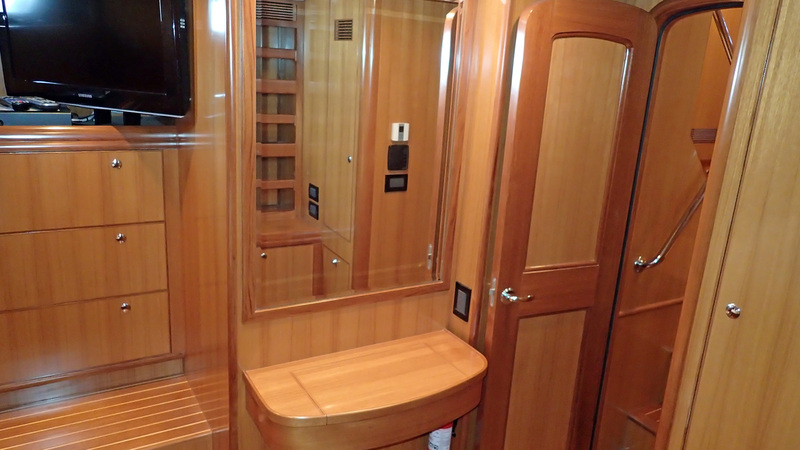 You can enter the lazarette from the cockpit on deck or through a dogged door aft in the master shower. 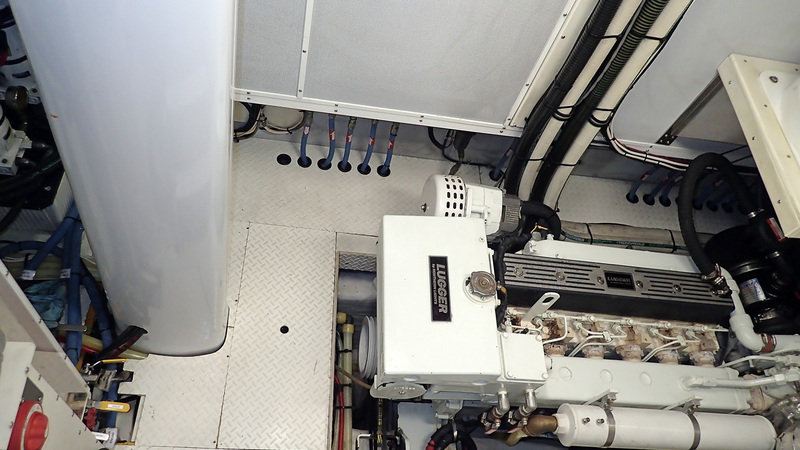 The lazarette is roomy with ships batteries, inverter, generator, diesel hydronic heat, stern thruster and fire suppression all positioned for easy servicing. 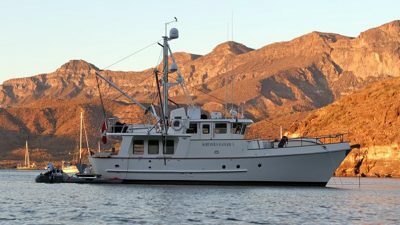 NordSail One is more properly defined as a “trawlersailer” since in addition to being an easily handled sailboat that gallops along across the wind spectrum, she benefits from two decades of PAE experience building long range trawlers and fifteen years of Mason full displacement sailboats prior. 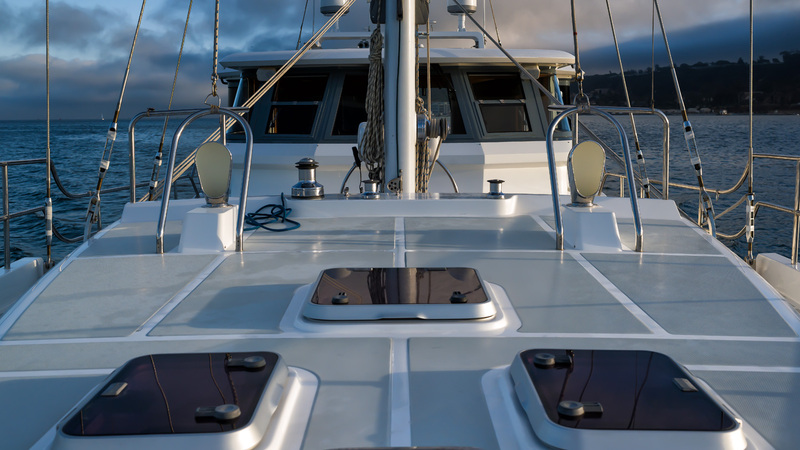 Her sail plan is easily trimmed for all breeze conditions. 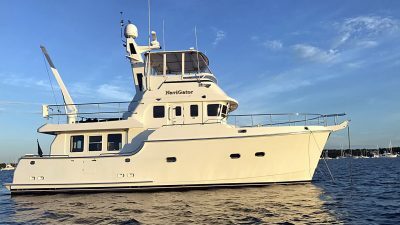 Her spacious engine room boasts diesel propulsion from her reliable Lugger main engine that spins the incredible Hundested variable pitch propeller for optimum rpm/burn rate and loading. 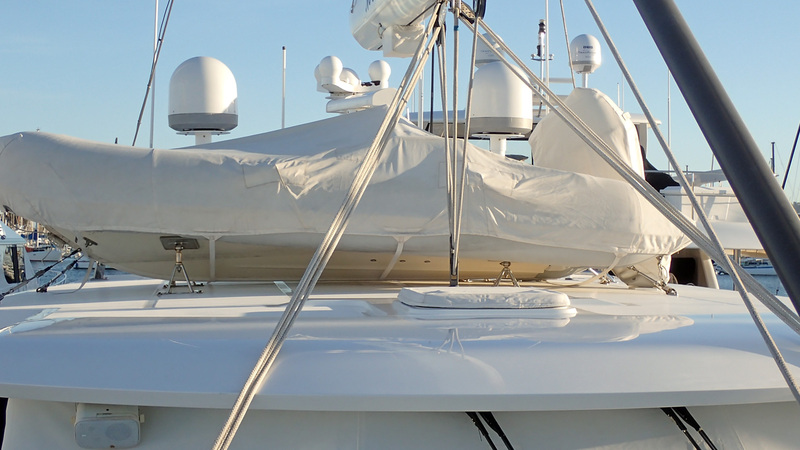 As the owner, you have a variety of underway options to enjoy the journey with easily furled sails and the most efficient engine package every installed on a sailing yacht. 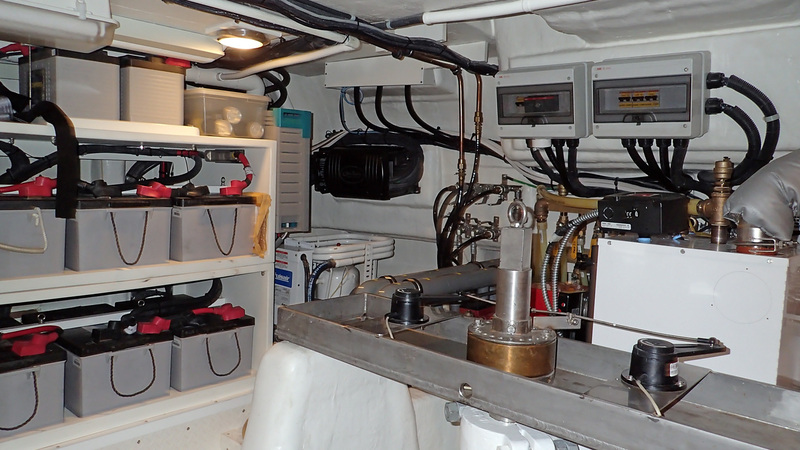 There is so much to discover, about this boat and her capability, please read on to learn more. 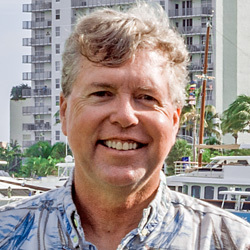 Listing broker, Jeff Merrill, has spent considerable time aboard NordSail One and promoted the Nordhavn 56 motorsailer through a series of three videos that were created when he worked for PAE. 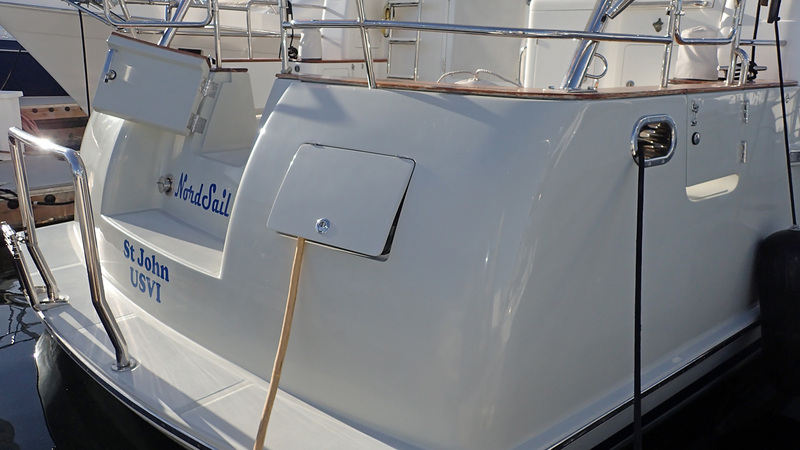 NordSail One is available for inspection by appointment only as the sellers continue to enjoy her while searching for a new owner. Please get in touch with Jeff if you would like to schedule a visit and/or if you would like to receive additional photographs or information. Note: All information is believed accurate, but should be verified. 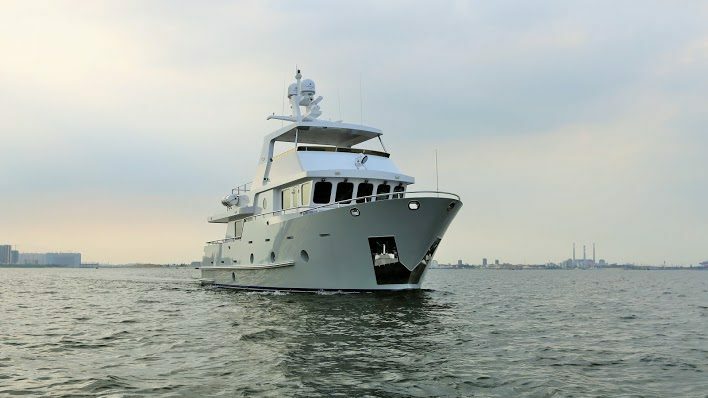 Watch a video of the Nordhavn 56 – NordSail One below.